If you have chosen to put hardwood floors in your home or business, you have made a great choice! 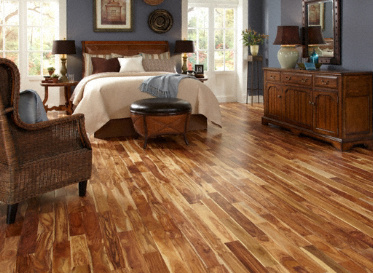 Nothing looks better than beautiful hardwood floors and there are so many colors and styles to choose from. At Ann Arbor Carpet and Floors, we are specialists in hardwood floor installation and have many options to choose from. We are known for being the best flooring store in the Ann Arbor Area so please call us and get a no-obligation quote. Hardwood Flooring is made of planks milled from a single piece of timber. If cared for properly, hardwood floors can last over 100 years. Ann Arbor Carpet and Floors strongly recommends that you use a professional installer when you put down hardwood floors. 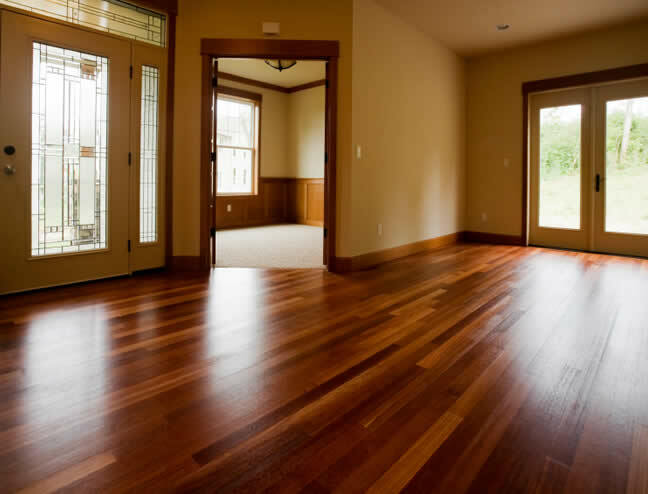 All hardwood floors have one of two types of finishes. 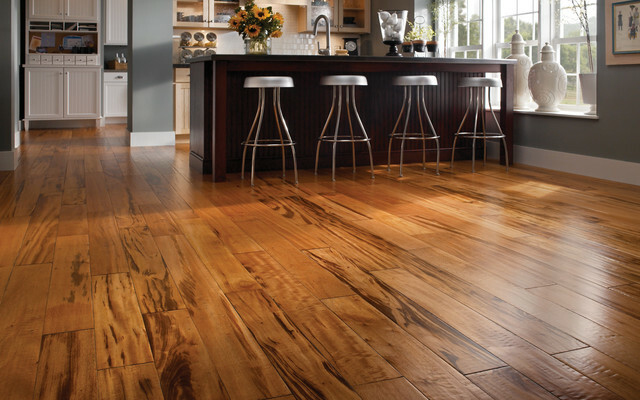 The two most popular modern finishes for wood flooring are oil-modified urethane and water-based polyurethane. The staff at Ann Arbor Carpet and Floors can advise you on the benefits of both and which finish may be the best for your home or business. *Try not to avoid walking on hardwood floors with spiked or damaged heels. *Do not wet-mop or damp-mop your hardwood floors with water or other liquids. *Stay away from any harsh products like steel wool or scouring pads to clean floors. *Do not use 2 in 1 products that contain urethane polish or acrylics. Typically you will find hardwood floor cleaning products in most stores that provide the most safety when cleaning your floors. You should sweep or lightly vacuum the floors regularly to prevent particle buildup and gritty dirt from scratching the woods surface. Do not use vacuums with a beater bar or or power rotary brush head which can also scratch the hardwoods surface. Using protective window covering to block the sun's UV rays and excessive heat from damaging and fading your hardwood floors is also a good idea. Most wood ages over time if not covered, so rearranging rugs and furniture periodically will help the wood to age evenly. Keep your pets nails trimmed properly and their feet clean. This will help to not track in dirt which can scratch and stain your hardwood floors. During the winter months when your home is being heated by dry hot air, it is a good idea to have a humidifier running to keep moisture in the home. This will keep the hardwood floors from shrinking and drying out. You should always wipe up and spills or spots immediately and not let them sit which can damage the hardwood floors.